Description: Pre-cut Window Key to suit Shaw, John Carr & Yale Window Handles. 2018-10-14 09:13:02 Anonymous Easy to use; prompt response. 2018-08-03 11:39:33 Anonymous Keys fitted perfectly. Prompt delivery. Excellent. 2018-07-10 20:41:10 Anonymous Fantastic service - helped me identify the key I needed and it worked. 2018-07-06 13:45:32 Anonymous The website was easy to use, and my order was dealt with very quickly. The new keys arrived the next day. They fit perfectly. Thank you. Would definitely recommend this site. 2018-02-25 18:38:42 John McGowan Prompt and efficient service. All exceeded expectations. 2018-02-05 19:16:19 Viv Rowell Excellent. Two types of really old double glazed windows where they’d been left in locked position with no keys which meant I could not open. Sent pictures, ‘Replacement Keys’ identified both immediately, a locksmith had advised that the only way to resolve was to have handles replaced!! GREAT COMMUNICATION, REALLY FRIENDLY AND HELPFUL, GREAT SERVICE, **RECOMEND** If anyone can help this Company can ???????????? 2017-11-23 16:58:40 Anonymous Great detective work to establish what the broken key was! Prompt, reasonable...what's not to like? 2017-06-29 12:13:15 Anonymous Perfect. As described and sent very quickly. Thank you. 2017-06-07 09:57:38 Anonymous Fantastic, they arrived next day. I will always use then from now on. Thank you. Excellent service. 2017-05-22 10:17:48 Anonymous I email a photo of the window lock and got an email back within two hours, I ordered the key and it arrived the next day. Excellent service and very low cost. 2017-04-10 15:50:39 Richard Mitchell Found the required key on their website and bought 2 at a discounted price. The keys arrived within a few days and were the exact replacements for some old window locks that I thought would now be obsolete. I can now open my Conservatory fanlights again!! Thank you. 2017-01-26 16:26:15 Anonymous I was really stuck, I needed to obtain extra keys but had know idea who the manufacturer was. 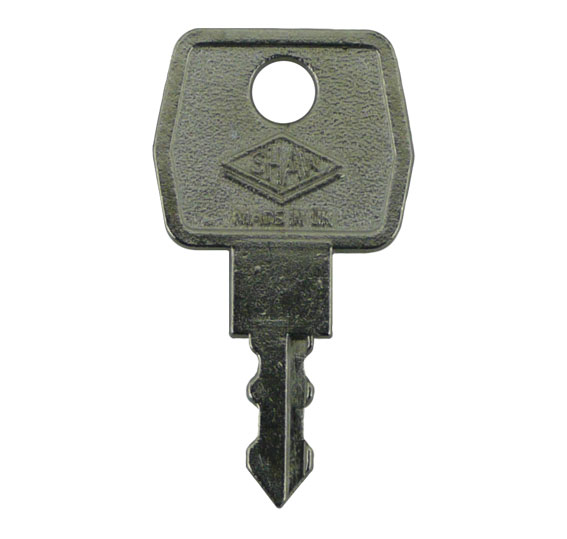 Your website had a clear photograph of every possible type of key available. It was easy to identify our model. I ordered the keys and they came the next day. You could not get a better service than this anywhere. I will need to replace several locks soon and no guesses as to where I will get them from. Normally I do not go into such a response for a review but this is an exceptional company, thank you. 2017-01-03 12:14:51 Anonymous Fast delivery and commutation was great. Keys work perfectly. 2016-11-27 11:27:48 Pamela Caulfield Replacement Keys is a fantastic service, so helpful, all l had to do was take photos and send. Great price, as well. They arrived within a few days, Replacement keys sent me 5 keys to try for my windows. I posted 2 back, Thank you.